Protecting the shores of Lake Erie while working for free. It's the cold hard reality for the men and women of the U.S. Coast Guard caught up in the middle of the government shutdown. CLEVELAND — Protecting the shores of Lake Erie while working for free. It's the cold hard reality for the men and women of the U.S. Coast Guard caught up in the middle of the government shutdown. 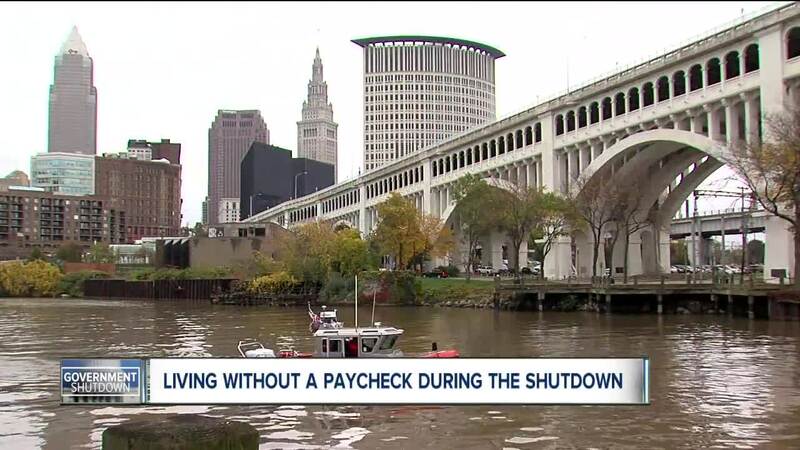 "Even with the shutdown, they are required to report to work," said USO of Northern Ohio Volunteer Manager Tanya Karabanovs. "How are you going to pay for groceries, how are you going to pay for gas, how are you going to pay your rent, your mortgage, your bills?" The Coast Guard falls under the Department of Homeland Security, which isn't funded during the shutdown. The Environmental Protection Agency is in the same situation. Cynthia Colquitt works for the agency and has stopped using her dishwasher to save on her water bill while cutting back on her dog's food because she won't get a paycheck for first time in 26 years as a federal employee. "I'm trying to take it one day at a time and figure it out," said Colquitt. "I'm trying to keep food in the house and make sure we do eat." The single mom living paycheck-to-paycheck is frustrated with leaders in Washington. "I can't understand why they are doing this and what this is still on-going, but I know it is affecting normal people," said Colquitt. Some farmers aren't getting government support checks promised to them when tariffs caused them to lose soybean business. One farmer told News 5 he was able to get his check, but since the Department of Agriculture shutdown, business is still at a standstill. "While they are fighting over the impasse and a border wall, it is detracting from other issues that are important to the U.S. government," said farmer John Kiefner. Locally, good Samaritans are putting together fundraisers and food drives to help Coast Guard members pay their bills and put food on the table as the shutdown continues.